Today was the funeral for Jay and Katrina Erickson here at Chitokoloki. It was a hard day in a lot of ways, yet sitting here at the end of the day and reflecting on it, everything still seems surreal. I personally knew Jay less than others here. I worked along side him a number of times on projects and I am struck by some very specific memories that I think define the type of person he was. Once when working on the internet here at Chitokoloki, Jay and I were trying to work through some problems and not having a lot of success. In the middle of the morning Jay disappeared and was nowhere to be found. When I asked where he was I was told that he went for “Tea” with his wife. Turns out every morning at 10am, he would stop what he was doing, go back to the house and make sure that his wife, left with their two young kids, was ok and to show intrest in her day. She was left alone at home in a foreign land with their two young kids. At the time I did not think much of it, but now that they have both passed, it makes one think. The internet at chitokoloki now works, the issues were sorted, that is of no consequence, however the time we spend with our families, we never know how much of that we will have. God only is in control of how long we have. What should be important, each and every day, what do I value, a few minutes with my wife, or just getting the next job done. The work and things we fill our days with will always be there, but the people in our lives may not. Today as we went through some of the computers on the mission we found these two pictures. They show and bring out the personality of the couple and what they brought to the lives of every life they touched. Jay full of energy and ready for anything, and the two of them happy to be serving God and doing something with their lives. 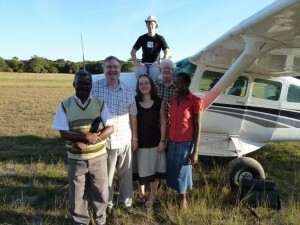 This picture shows Jay (on Plane) with a team of doctors and hospital staff on a medical trip to Chavuma. The second picture is the last picture taken of the couple. 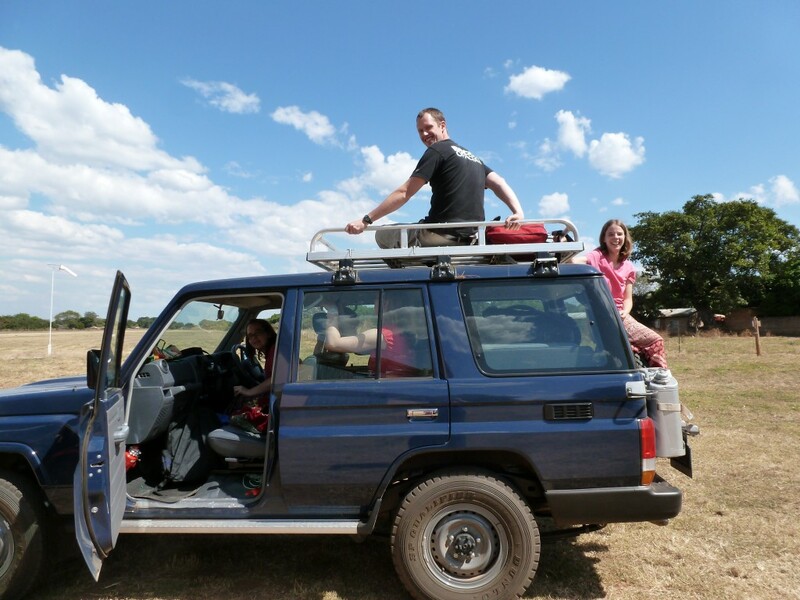 They had just finished lunch and where on the way to the airstrip and the car was full. Jay jumped on top, and Katrina on back.